Where we went and where we are going now! South Africa is one of the top travel destinations in the world. A sophisticated, low-cost tourist infrastructure has developed over the last few years as a response to the huge influx of foreign backpackers and budget travellers. We started with 2 Nissan buses and now we have a fleet of 22 seater VW crafters! In the early days, the buses traveled from ?? ?Cape Town via Port Elizabeth, Durban, Johannesburg and Kimberley and back to Cape Town. However due to customer demand the coastal route between Cape Town and Johannesburg was made bi-directional. More and smaller buses with trailers, as well as no time limit on tickets were introduced. 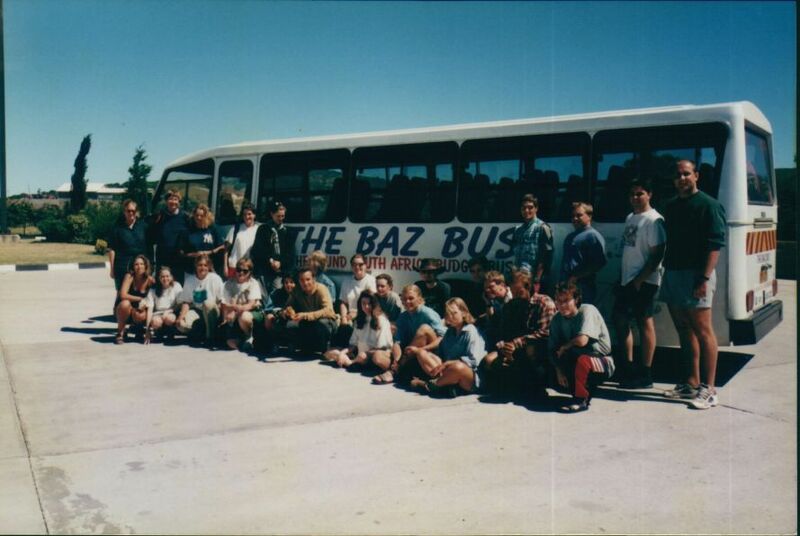 For a few years, Baz Bus extended as far as ?? ?Zimbabwe‘s famous Victoria Falls in line with the increase in backpacking and budget travel as well as the growing numbers of tourists visiting Southem Africa. 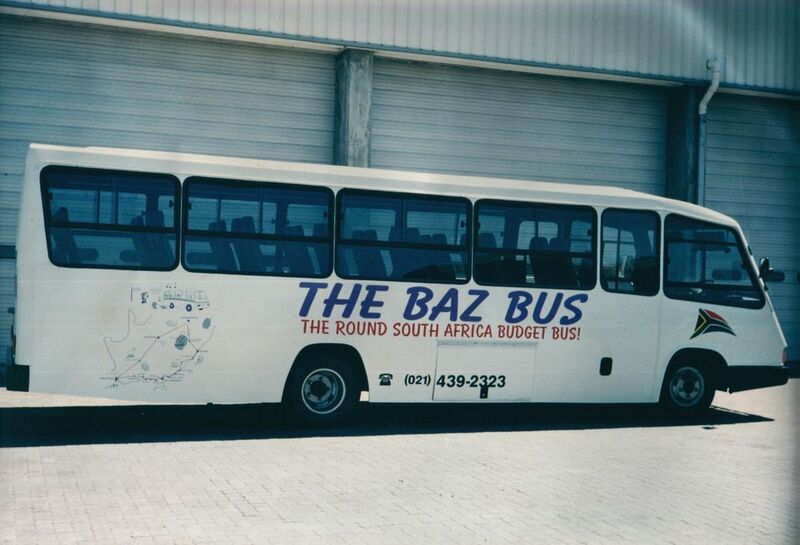 February 1999 saw the introduction of a four times weekly Baz Bus services from Johannesburg and Pretoria to Zimbabwe. As with Baz Bus hop on/ hop off service passengers could disembark in Bulawayo and then join again to proceed to Victoria Falls. 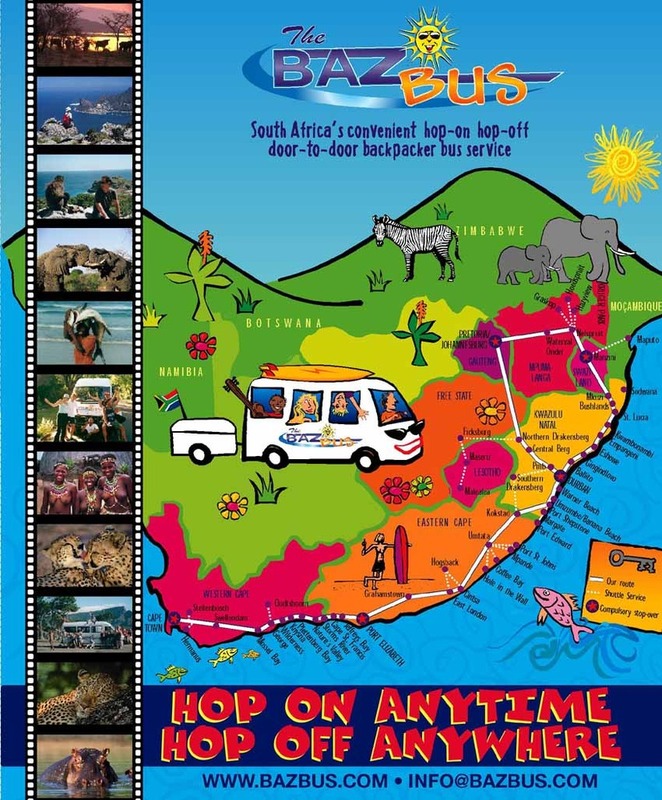 Zimbabwe was not the only Southern African country outside of South Africa visited by Baz Bus. The service also extended across the Royal Kingdom of Swaziland as well. 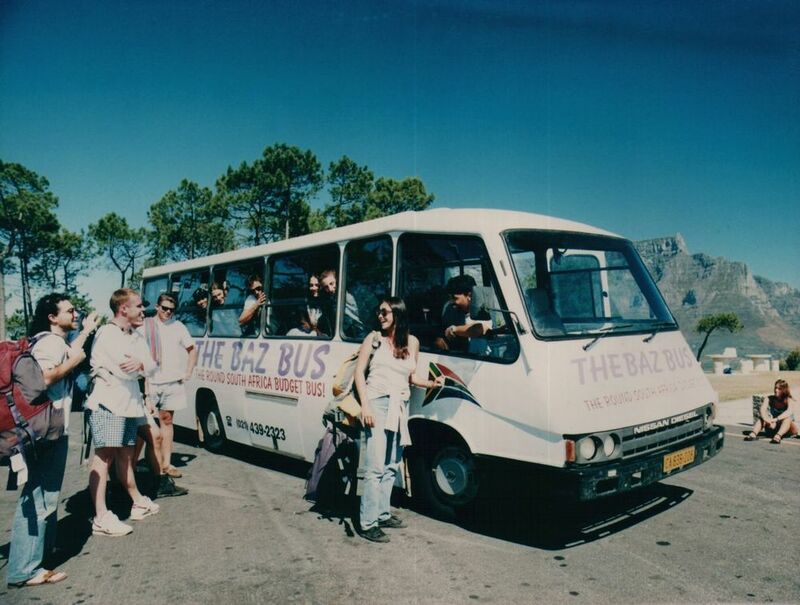 Baz Bus’s route then stretched from Cape Town along the East coast to Durban and Johannesburg, via the Drakensberg Mountains and Swaziland. 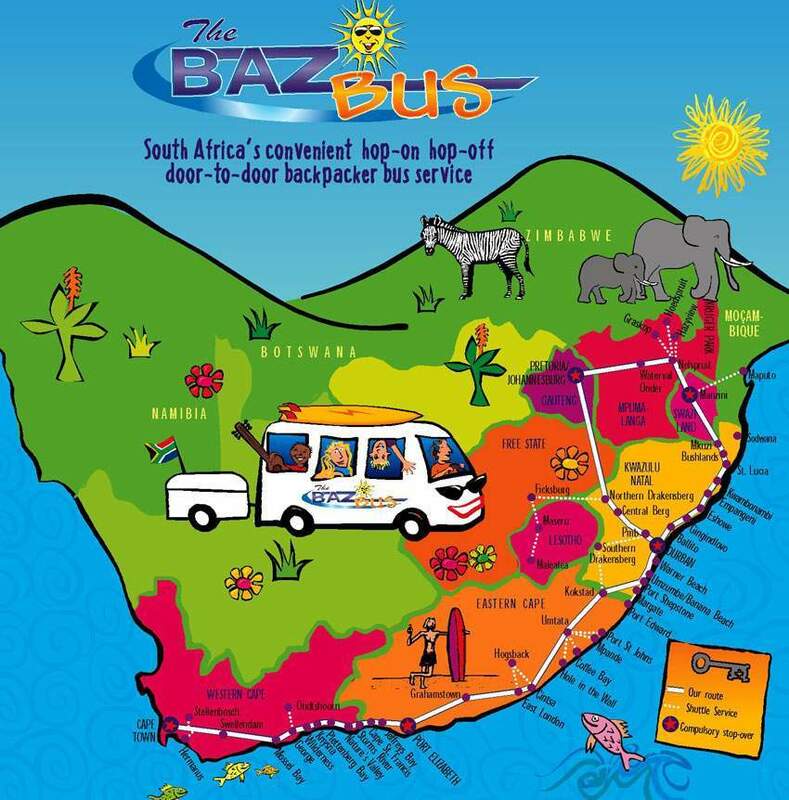 Baz Bus negotiated a shuttle service from Swaziland Backpackers to Maputo, Mozambique. 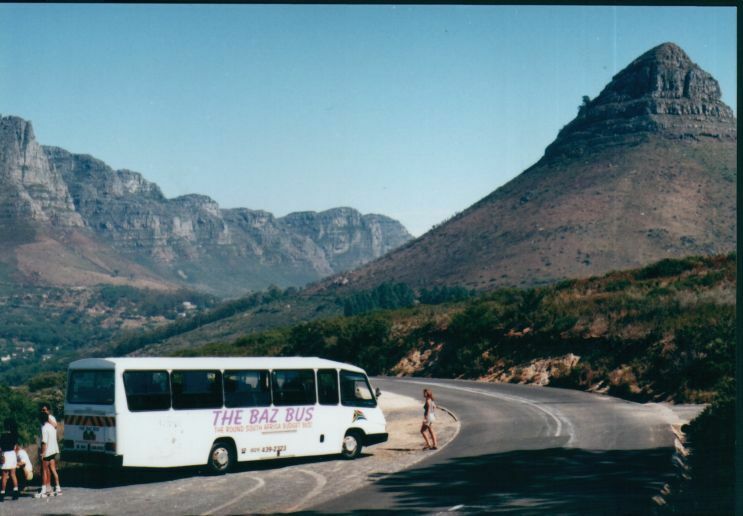 Our buses now travel from Cape Town to Johannesburg via Drakensberg Mountains (in either direction). Read more on our routes.??? It’s been an interesting ride!! !